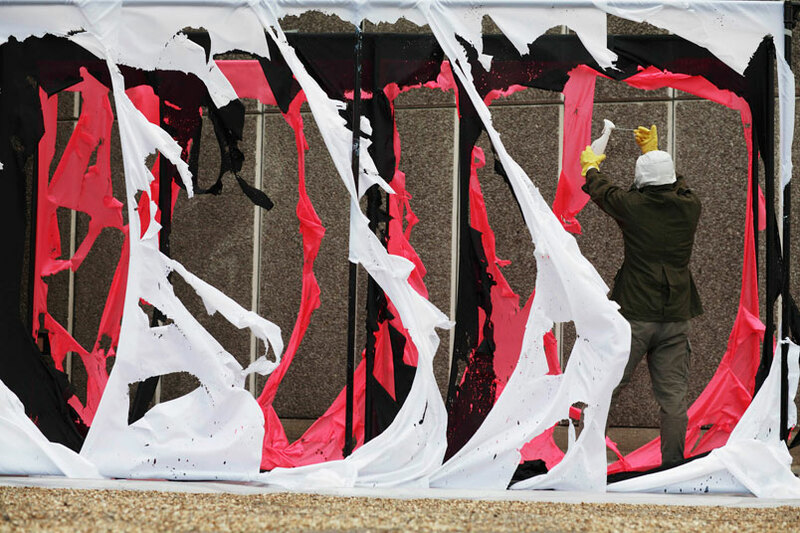 Recreation of Gustav Metzger’s acid action paintings in 2006, by the artist Brian Hodgson, Hayward Gallery, London, Photograph Kristian Buus, © 2009 Gustav Metzger. The material is slowly dissolved by spraying acid on it. Still, though. where does it end up? It must be traceable?